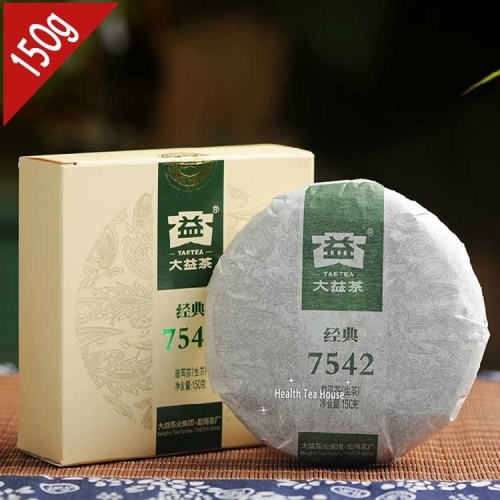 Menghai 7572 ripe Pu Er tea is one of the conventional ripe tea products in Menghai factory, and regarded as the standard ripe Pu Er tea for tea drinkers or tasters to judge the quality of other ripe Pu Er tea. 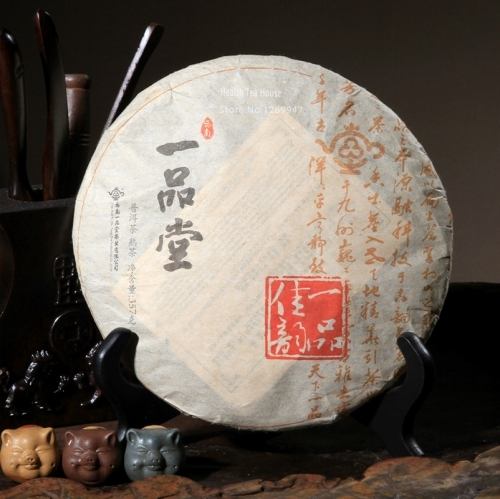 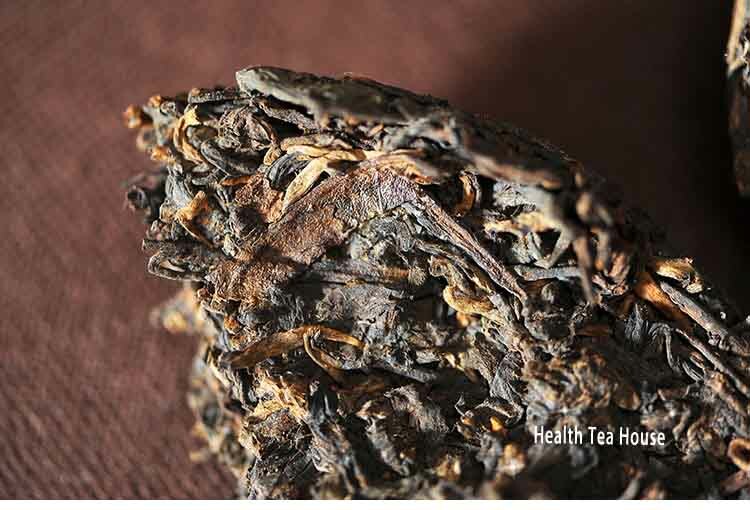 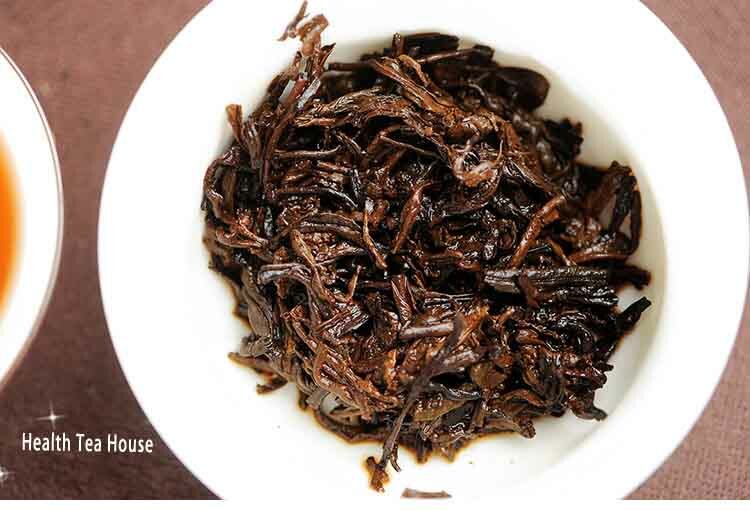 Golden tip buds are spreaded on the tea cake surface with main 7 grades of Maocha inside. 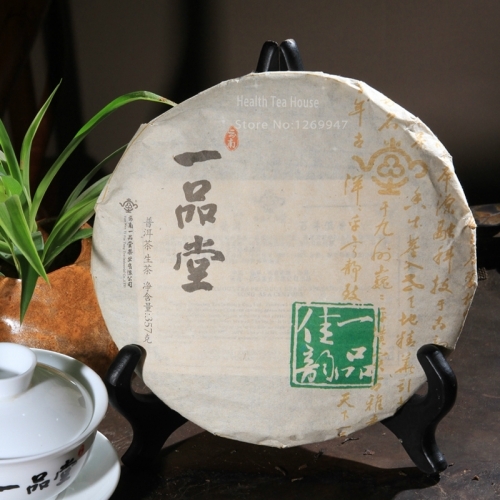 Medium fermentation, this allows the activity of the tea to change as time goes by. 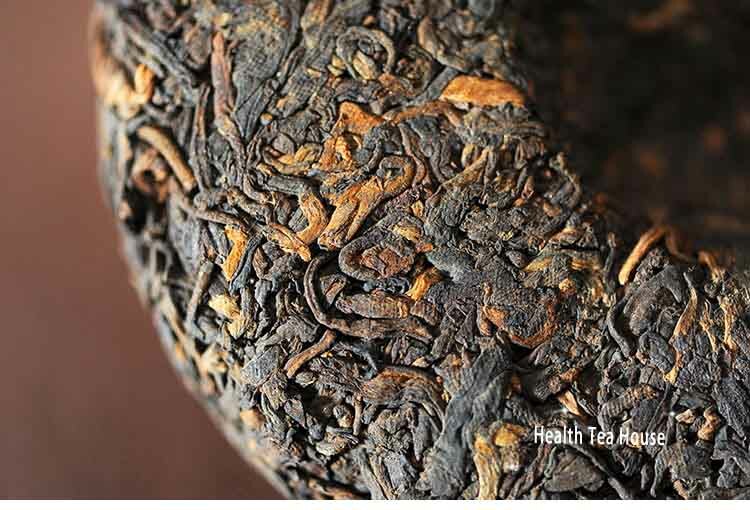 Mellow taste and long sweetness. 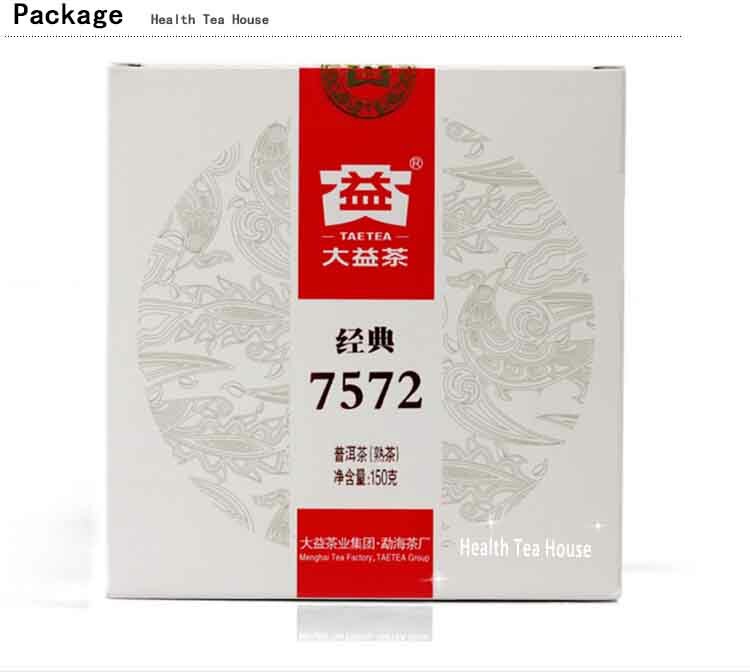 If stored for about 3 years, its age aroma appears and tea liquid becomes more smooth and soft. 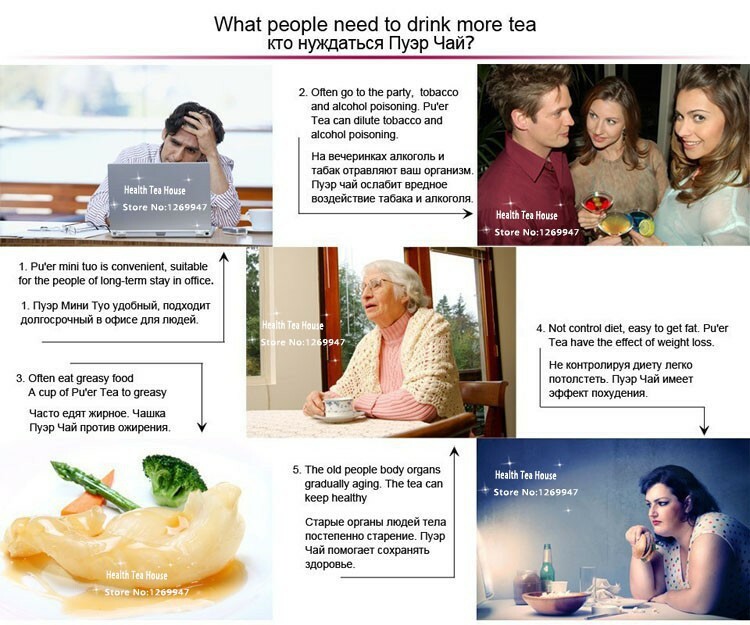 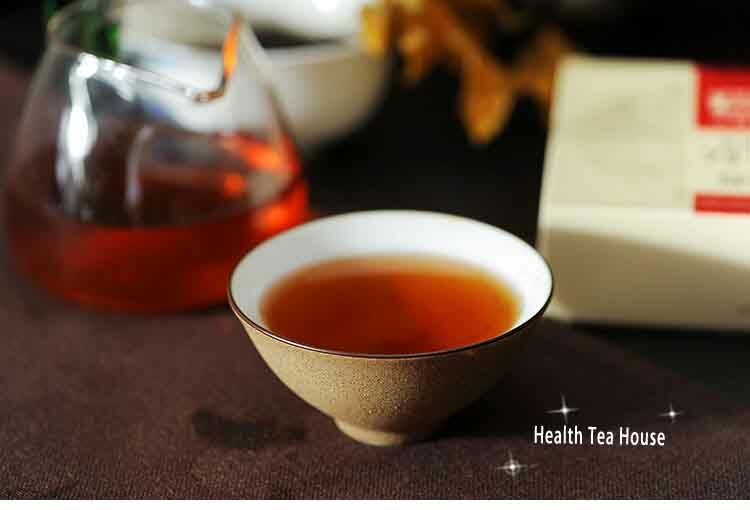 Drinking the ripe Pu Er tea for a long time is good for keep weight and descreasing the blood fat, blood sugar and maintain your skin activity. 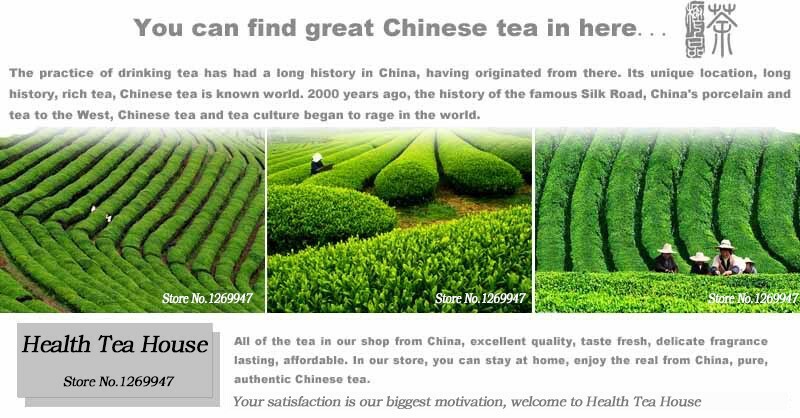 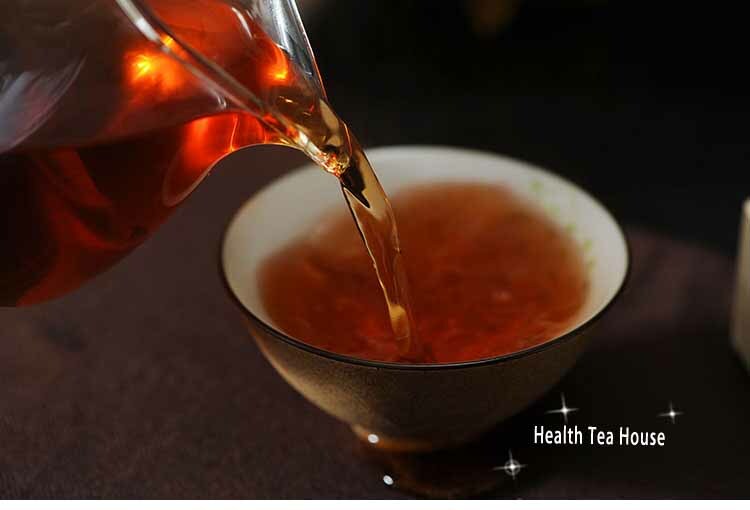 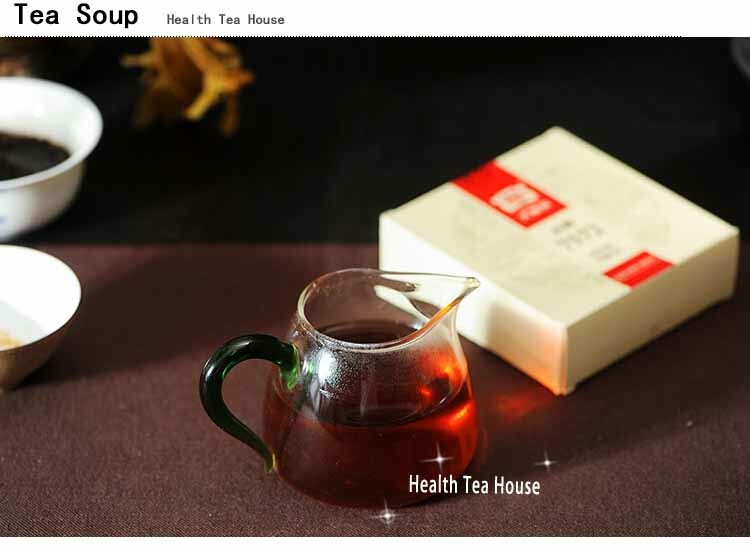 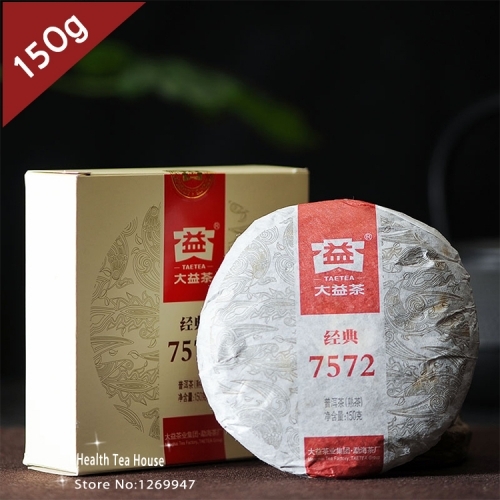 Because the puerh has no shelf life, and the puerh`s tastes will become more delicious with their years increase, so their price would keep rising, and you can order more if you like this kind of tea. 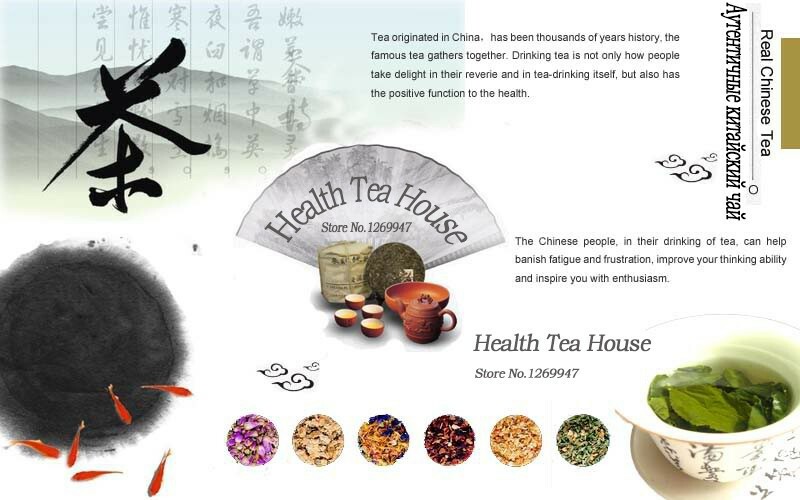 It`s worth to purchase and collect at present. 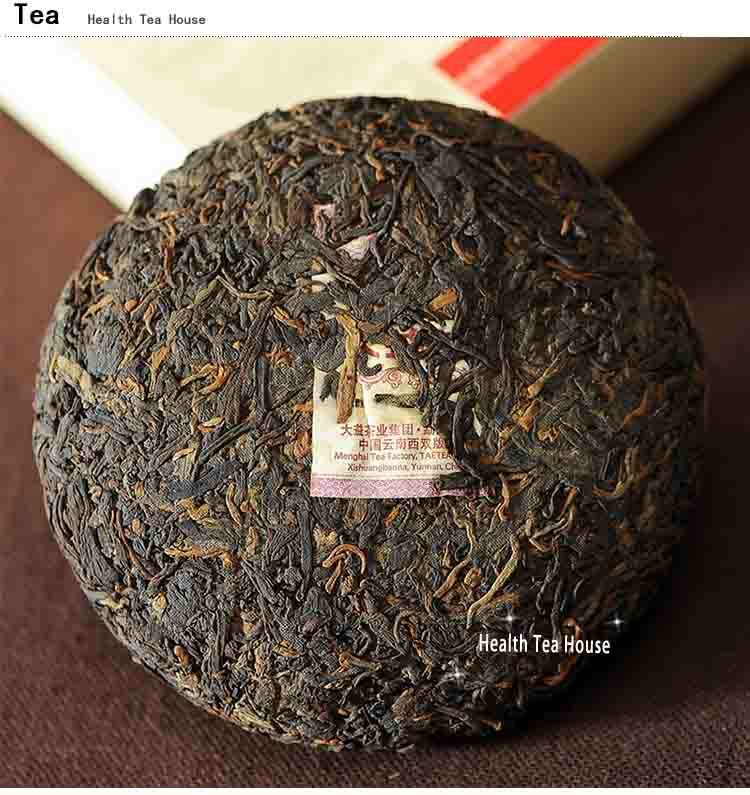 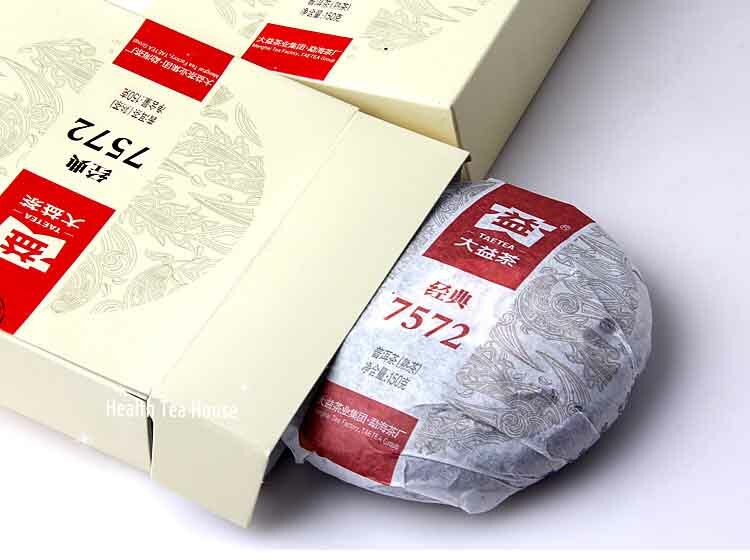 7572 , a bulk Menghai tea cakes cooked from production since the mid-1970s, the use of fine tea cents gold sprinkle surface, as in the young tea flush tea, fermented moderate, tea brown color red, mellow, soup Hongliang, comprehensive high-quality, Menghai flavor, respected by the public, by the market as "ripe Pu'er tea quality evaluation standard products"! 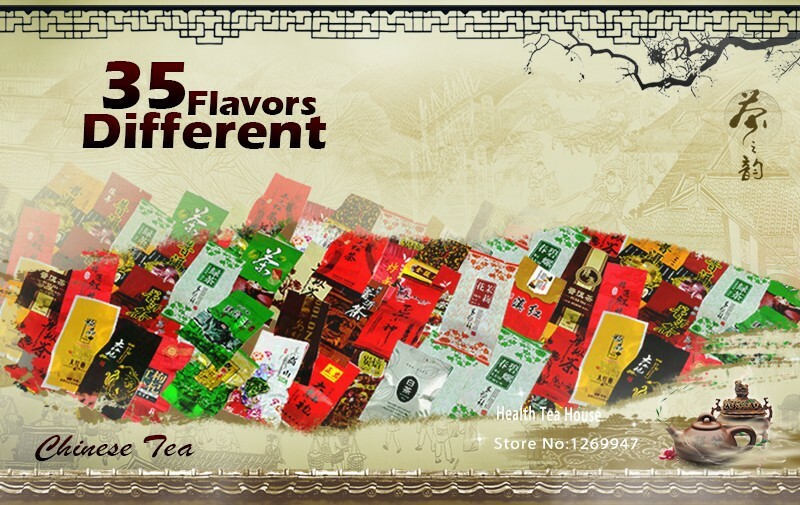 A collection of everyday drink to share, but also has the longer the better quality characteristics.